To win in the NBA, teams need a player to exceed expectations. With that in mind, we look at 2015’s make or break players for each NBA teams. 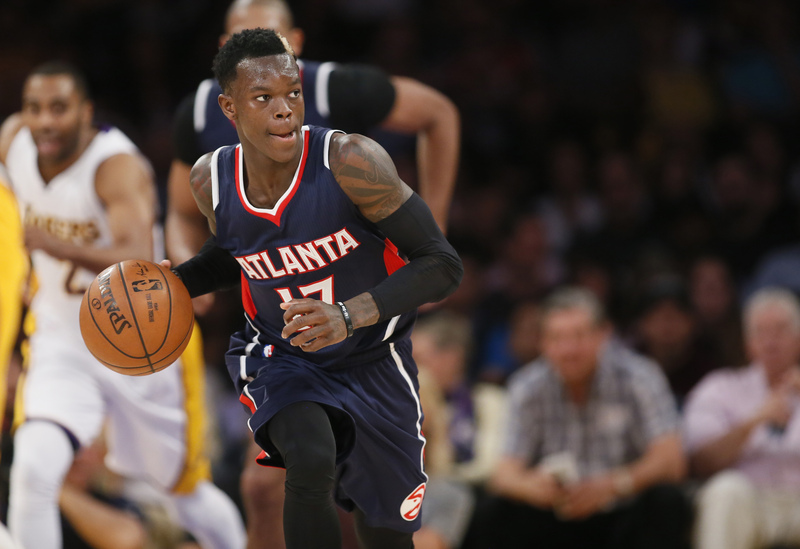 Dennis Schröder is, in a word, electric. He is all spindly limbs and and explosive fast twitch athleticism, shrink wrap packed into a 6’1″, 168 pound frame. He runs as if shot out of a cannon and can change direction like an elite NFL cornerback. He has the potential to be a 20 ppg and 6 assists player in the NBA. If he can reach this potential will go a long way towards determining the Atlanta Hawks success or failure this season. The tantalizing talent is there, it is just about refining the rough edges. Schröder already has in his tool belt one of the most essential skills any point guard can have, the ability to slice into the paint with ease. Schröder was 22nd in the NBA in drives per game with 7.8 forays into the lane, and this lofty ranking is even more amazing considering he averaged only 19.8 minutes per game. Of the 21 players who averaged more drives per game, Tony Parker had the next fewest minutes with 28.7 per game. Unsurprising, this led to Schröder being second to only Ish Smith in drives per 48 minutes with 19.15 and second to Tony Wroten in points off drives per 48 minutes with 12.2. Schröder might as well pitch a tent below the free-throw line when he takes the court because he lives in the key. The question is can Schröder take this success and expand it over a larger sample size? In limited minutes, he has already shown a propensity for turnovers, averaging 1.9 in his 19.7 minutes per game, which should only figure to rise with extended run. However, if Schröder can be more efficient with the basketball and continue to attack the rack, the Hawks can be a dangerous team. Without DeMarre Carroll, the Hawks have a glaring hole in their crunch time lineup. Jeff Teague, Kyle Korver, Paul Millsap and Al Horford are all locks to be on the hardwood when it really counts, but they have not figured out who that fifth guy will be. Kent Bazemore, Thabo Sefolosha, Justin Holiday and Tim Hardaway Jr. are all nice options to offer a bit of 3 and D to help fill out a lineup, but each has a glaring deficiency that makes it difficult to play them when games slow down. Bazemore is erratic and undersized, Sefolosha can’t shoot well enough to keep the Hawks offense humming, Holiday is unproven and Hardaway Jr. is unreliable and careless. This leaves as the last option the only man in the NBA brave enough to rock a bleached spot on his head. Schröder, with a 6’7.75″ wingspan and bouncy athleticism should be able to guard most opposing two-guards despite his lack of bulk playing next to Teague. This would give the Hawks a much needed second proven creator to initiate the offense and get the Hawks machine in motion. He needs to improve as a shooter to help space the floor after hitting only 35.1% of his threes last year, but hopefully offseason work with Kyle Korver can lead to better results. So all Schröder needs to do is stay aggressive and efficient in extended minutes, shut down opposing two-guards, and bang open triples. Easier said then done. However, if he can add these three pieces of ammo to his artillery in time for the 2015-2016 season, the Hawks (even minus Carroll) suddenly have the weapons to again contend in the East.